Now that the holidays are in full swing and I have a few parties coming up, I will be rocking the classic and beloved red lip. I love the timeless look it gives, and just makes me feel super feminine. I am the type of person that has a hard time finding lip colors that suit me, so red is my go to. I have a handful of red lipsticks in my collection, however I tend to have some issues with them. Either they are way too pigmented and it is just too much for my skin tone, or the lipsticks are super drying. 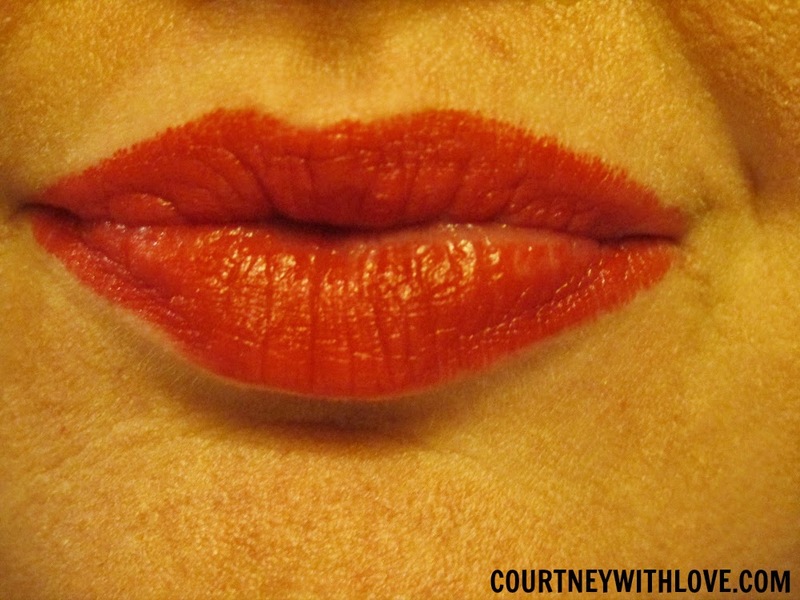 Normally I have to sheer out the lipstick, and mix it with a tad bit of balm or gloss to keep it from being so dry. That can be a pain. Thankfully I now have a new lipstick in my collection that combines just the right pigmentation, with just the right formula. 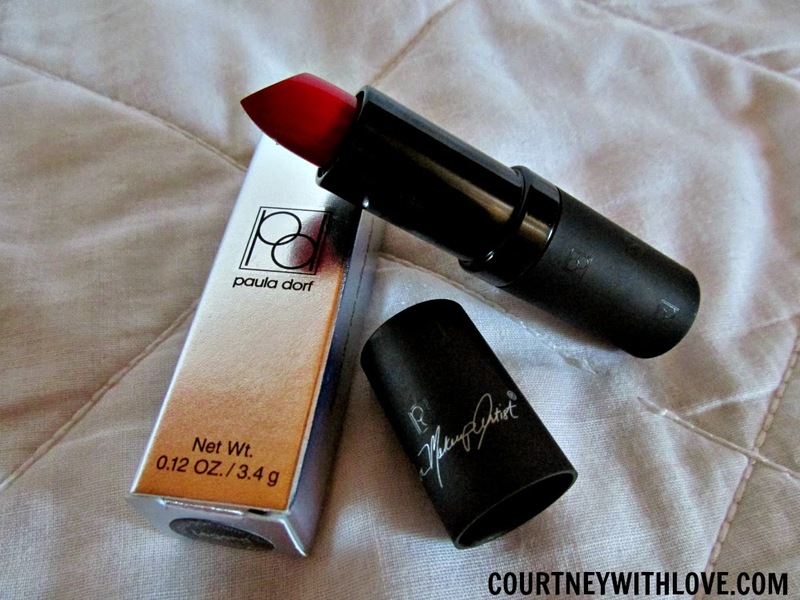 The Paula Dorf Lip Color Cream in Legend is a classic red lipstick. Think Marilyn Monroe red lip. It has a very good pigmentation, but isn't screaming red. It is far from being sheer, but you can put on 1 coat and be good to go. If you want something a bit more bolder, then a 2nd coat would do the trick. It has a nice formulation, not too dry and not too glossy. It doesn't settle into fine lines and doesn't feather. Amazing right? It stays on my lips for a good 6 hours, and even longer if I prime my lips. I simply cover my lips with my foundation, and then apply. Plus not only is the color of the lipstick gorgeous, but so is the packaging. I have to say that the tube design is probably one of my top 5 favorites. Simply beautiful. To apply, I found it best to use a brush as I do with all of my red lipsticks. If you want a super sharp, clean lip line, then you can also apply concealer around the outside of your lips after applying your lipstick. One thing to remember is a red lip is a statement. Keep your eye makeup simple, a classic cat eye using black eye liner is always gorgeous. Also subtle brown shades of eye shadow are stunning as well. Valentines Day will be creeping up on us soon, so if you are looking for the perfect red lipstick to rock, check out Paula Dorf Lip Color Cream in Legend. You can save 20% off any Paula Dorf Lip Color Cream by using code "LIPCOLOR".